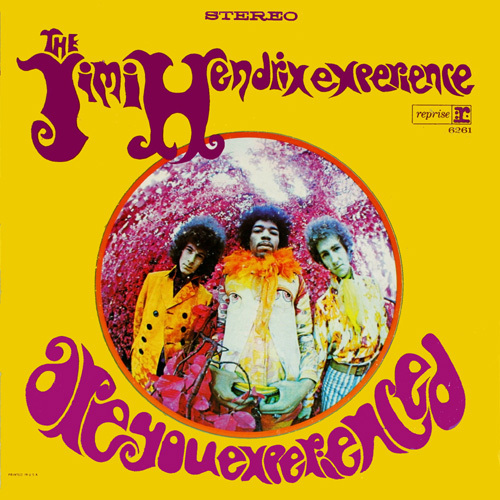 You are here: Home / The Euphrates / Are You Experienced? I was listening to the Are You Experienced album by Jimi Hendrix the other day. I listen to the album in its entirety about once a month. I find it incredibly inspirational. Every time that I hear the opening riff to Purple Haze I feel like I’m hearing it for the first time. It is so fresh, so original, and so futuristic…even though the album was released 43 years ago. At this point, many of you are probably asking, “What does this have to do with Masonry?” Well, I’ll tell you. One of the greatest characteristics that Jimi Hendrix possessed was that he really challenged the natural order of things. Many of his peers felt threatened by his musical prowess and originality. Pete Townshend, Eric Clapton, Jeff Beck, and even John Lennon and Paul McCartney felt that Hendrix may possess the ability to put them out of business. Some respected him for that. Some did not. Hendrix also represented the counter-culture of the 60’s, but in a different way than many of his contemporaries. He didn’t discuss his political philosophy by an outright partisan protest, but rather by passive suggestions and asking rhetorical questions about the state of world affairs. He used his music and his celebrity as a way to open people’s minds instead of drawing a divisive line in the sand. In a lot of ways, Freemasonry is intended to do this for its initiates. Freemasonry has always challenged the natural order of the world. For centuries, religious organizations and governments have opposed its “questionable motives.” They oppose it for a good reason: Freemasonry promotes individual enlightenment and the right of every man to find his path to a greater existence. Not surprisingly, in order to accomplish those goals a man must challenge his preconceived opinions on spirituality, politics, and philosophy. This makes it difficult for a man belonging to the Masonic fraternity to be controlled by his church or his government. There are many reasons for this. One of the major issues facing Freemasonry today is that our organization is very concerned about discrediting any accusations of sinister activities by our fraternity. We spend a lot of time and money on institutionalized charity and removing any mystery surrounding the order in order to combat any unfavorable opinions about Masonry. When mentoring our candidates, we turn our degrees from deep, philosophical allegories into shallow fables. Most Masons don’t do any sort of Masonic research on their own and they certainly don’t receive any in lodge. Today’s Masonry is a charitable civic organization, where a man improves himself simply by joining. We talk about turning the rough ashlar into the perfect ashlar, but we don’t actually pick up the chisel and attempt to transform ourselves. Of course, some men do experience a transformation because they are diligent in their Masonic studies. I certainly changed a lot of my views and opinions after becoming a Mason. It challenged many preconceived notions that I held. At first, I resisted the new ideas that were floating around in my head, but I finally allowed reason be the victor. I truly feel like I got “experienced.” Sadly, many of our initiates never have this feeling. They never see Freemasonry as being anything more than a set of rituals, a charitable organization, or a social club. They completely miss its complex intricacies. Of course, this makes the questions from our candidates simpler and much easier to answer and for those initiates that feel the need to ask a difficult question, there is always a politically correct answer in some Grand Lodge publication. We must bring back the process of getting “experienced” back to Freemasonry. Our Brethren and our initiates should have their minds challenged at every lodge meeting. Our lodge education should be something out of the ordinary. Discussions should be held about every topic that is presented and the Brethren must understand that Freemasonry is about keeping the mind open to new enlightenment. Good post. I fully agree. I joined masonry to better myself as a man and hopefully in doing so, bettering my community and the world I live in. I can and do support various charities. I didn’t need another charity to join. However, so far (it’s only been 1 year) all we seem to do at meetings is deal with Lodge business and then go home. It’s not in my nature to do nothing, so I have spent the summer reading any decent website on the subject of Freemasonry to glean nuggets of wisdom from those who were raised before me. I have also purchased several books on the subject. Some modern, some older such as Morals & Dogma and even downloaded and read Anderson’s constitutions. I want to ‘learn’ freemasonry. I expected intelligent discussions on the finer points with wise brethren. Speakers who could enlighten us. I guess my problem is that I have one foot in Generation X. “I want” and “I expected” are the battle cries of my age. It appears to be up to me to bring about change in our lodge. To suggest we seek out noted speakers. Maybe even to write and present a discourse of my own which at least should open up some dialogue and in the process, force me to research deeper into our fraternity. Like my boss says, don’t come to me with problems. Come to me with solutions.